The Boston Major concludes, plus much more. The Dota 2 Boston Major and CS:GO Esports Championship series aim to end the year in style this weekend. Both events are set to deliver high doses of action, suspense and drama as our digital athletes duke it out. All the details on this weekend’s action can be found below. Have a great weekend! 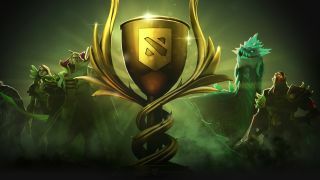 The Boston Major is well underway as the Dota 2 teams continue to fight for their chance to win their share of a $3,000,000 prize pool. Now that the group stages have finished things are heating up as we head over to the quarterfinals. Virtus.pro and Evil Geniuses are kicking things off today at 07:00 PST / 16:00 CET, followed by WG.Unity and OG. The semifinals start the same time on Saturday, while the finals start later at 15:00 PST / 00:00 CET. You can check out the official stream over on Twitch. FACEIT’s flagship Electronic Championship Series will be taking place at the Anaheim Arena for its second offline finals. The top four teams will face off today in front of thousands of North American fans for their chance to win the $750,000 prize pool. This year’s ECS finals promises to be one of the largest CS:GO events in Southern California, holding 18,000 spectators in the venue. The playoffs kick off today at 11:15 PST / 20:15 CET, while the finals start on Sunday at 18:00 PST and Monday 03:00 CET. Tickets to the event can be bought here, while the full schedule and stream can be found over on the ECS website. Blizzard has partnered with Next Generation Esports to produce the Overwatch Winter Premiere. The event is open to North American teams, and all participants must qualify through open qualifiers starting this Saturday. After the qualifiers, the top eight teams will advance for three weeks of rigorous group play. Only the best teams will have a chance to play at the Winter Premiere, which will be held in January at the NGE Studios in Burbank, California. Teams can register here. Day two of the Hearthstone Esport Superstars event will be live in Neumünster, Germany today. Pros and YouTubers will come together to battle for the €25,000 prize pool on the world’s first mobile esports arena and roadshow truck—Big Betty. The full weekend schedule can be found here and the event can be streamed over on Twitch.